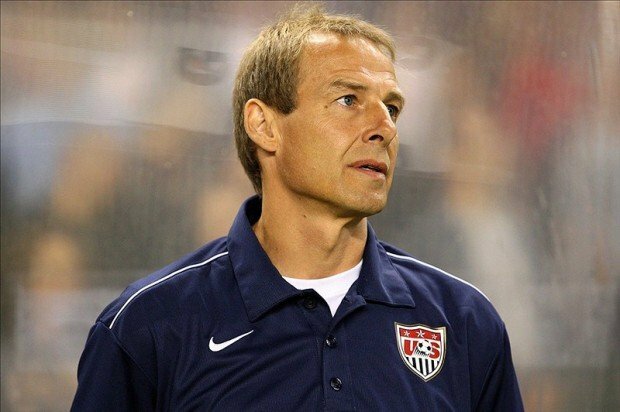 Jurgen Klinsmann was fired on Monday as manager of the U.S. Men’s National Soccer team. The decision was made just six days after the U.S. suffered a humiliating 4-0 defeat against Costa Rica in a World Cup qualifying match. Klinsmann took over as manager in 2011. During the 2014 FIFA World Cup tournament, he successfully led his squad past the Group Stage, however Team USA would go on to lose to Belgium in the first elimination round. Nonetheless, it was considered a good run since critics did not have the USA making it past the Group Stage. Klinsmann was under contract with the team until the conclusion of the 2018 FIFA World Cup tournament, but after losing their last two matches being outscored 6 to 1, the decision on Klinsmann had to be made. Klinsmann’s reign as manager concludes with a 55-27-16 record. A positive note on Klinsmann’s reign besides the 2014 World Cup run, is the fact that in 2013, he led the USMNT to 12 straight wins, their longest winning streak in franchise history. Bruce Arena will be succeeding Klinsmann. This is not the first time Arena will be managing Team USA. He was the manager for Team USA from 1998-2006. His previous job was manager of the Los Angeles Galaxy, where he won three Major League Soccer titles. During the 2002 FIFA World Cup tournament, he led his squad to the quarterfinals, the deepest the team has ever gone in a World Cup tournament. The U.S. would, however, went on to lose to Germany. During 2006 World Cup, Arena and his squad failed to make it past the Group stage. A few weeks after being eliminated from the 2006 tournament, Arena left his position. Now he’s got his chance of rectifying his previous World Cup failure. It’s not too late for Team USA, there’s still hope for them. But if they want to make it to Russia, they need get back on the win column. They’re next qualifying match is not until March 24th. That gives the team plenty of time to heal and train. They can’t afford another loss. They’re next qualifying match will be against Panama. It’s up to Arena to turn things around.